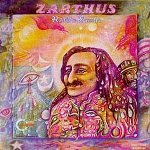 To celebrate Folkworld’s Fiftieth Issue, I offer this list of the top psychedelic folk albums from the ‘classic psyche-folk era’ of 1966 to 1982. I am liberally using the term psychedelic as this was a psychedelic era, so any folk album that has elements of folk rock, progressive folk, with a full or partly psychedelic sound and spirit will qualify. 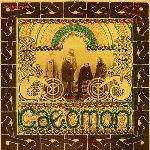 The beginning of the folk and psychedelia marriage can be debated, but I would say that Davey Graham brought out a lot of this sound with his tunings and structures that he learned in Morocco. Then Donovan, the Incredible String Band, and even the Jefferson Airplane and the Beatles among others all offered something to the form. It continues to ebb and flow to this day with new found respect for many of these older and in some cases barely known artists. Reissues and Youtube have now allowed anyone to study the history of this music. But rather than go further into these details, I would also recommend checking out a couple of fine books on this subject: “Seasons They Change” by Jeanette Leech; and “Electric Eden” by Rob Young. As lists go, this is a snapshot in time. It is what I feel today. Tomorrow, it will change. 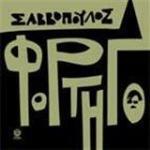 Greece had a lot of interesting progressive music in this era, but some artists gravitated toward the folk idiom and went into interesting creative journeys. Savopoulos was consistently one of the best at it. 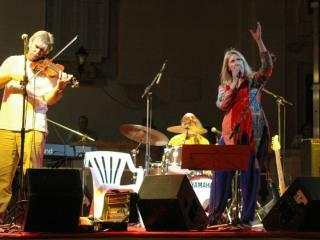 This French band was called France’s Fairport Convention and was led by Gabriel Yacoub. They had a very deep, depressing style that is hard to listen to in long blocks of time as they go to deep places. The male/female folk tandem has always been a great formula and this Belgian duo did it well both with their traditional songs and in originals that often achieved a chilling feeling. 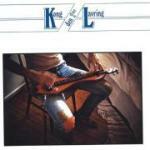 47	Kong Lavring	"Den 2 Den"
This is the rarer of two albums by this fine Norwegian band with members that were also a part of the more prolific band, Folque. My translator says the band’s English equivalent is King Pippin. 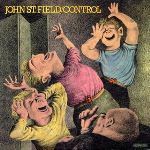 46	John St. Field	"Control"
Ian Rankin’s favorite musician was Jackie Leven who had an interesting band, Doll by Doll. But it is this first effort that shines brightest, while released under a mysterious pseudonym due to various nefarious stories. 45	Tim Buckley	"Goodbye and Hello"
Tim Buckley is not easy to categorize as he started in folk and went into extremely odd jazz before dullish pop rock. When he was on, he was spectacular and this second album has the most psychedelic vibe present and is a masterpiece. 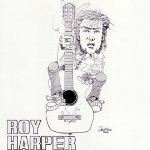 44	Roy Harper	"Sophisticated Beggar"
I probably should put “Stormcock” on this list, as it is one of my favorite albums of all-time, but Harper’s debut is more psychedelic with some of the more varied songs he has ever recorded since. 43	Ithaca	"A Game for All Who Know"
UK musicians Lee Menelaus, John Ferdinando, and Peter Howell recorded this gem along with others under the names Agincourt, and Alice Through the Looking Glass. This is the steadiest and shows off their airy mysterious qualities. This band had a strong Scandanavian air to it with female vocals sounding like they came from Valhalla. Their “Twa Corbies” is that finest version ever. 41	Veronique Chalot	"A L'entrée du Temps Clair"
There is a medieval quality to this music, but it has enough psychedelic moments to move it forward into trippy areas. 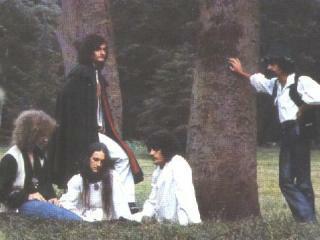 40	Gurnemanz	"No Rays of Noise"
This German outfit is similar to the better-known Ougenweide and has a bit of Pentangle present with the bass sounds and female vocals. 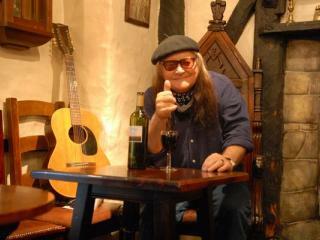 “John Barleycorn” is magnificent and the live bonus material on the CD makes the album even better. 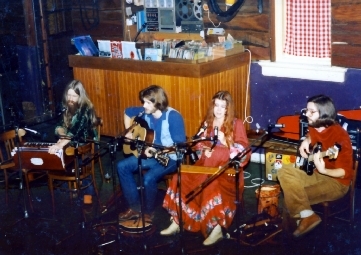 Full folk rock with both psychedelic and ancient touches. They manage to vary pace, volume, and sound as well as anyone. 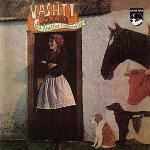 38	Vashti Bunyan	"Diamond Days"
Fragile female folk with some striking arrangements with help from Robert Kirby, Robin Williamson and a couple of Fairport guys. It took three decades for people to ‘get this’. 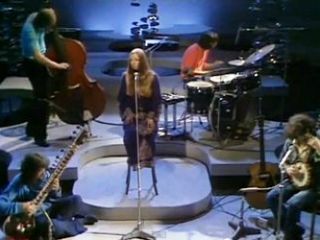 37	Steeleye Span	"Please to See the King"
It is a tough choice as to which Steeleye album is their finest, but this sophomore effort has Martin Carthy on electric guitar and some strange moments that take their steadier folkrock into unknown rock territory. 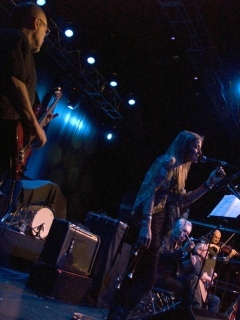 A vocal trio with acoustic guitars ringing away took harmonies into an exotic psychedelic thicket. The folkiest progressive rock of the Canterbury scene features intriguing contrasting vocals, wild acoustic guitar strumming and a bass and violin that dance at a feverish pitch. 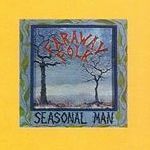 34	Faraway Folk	"Seasonal Man"
Gutsy folk rock that has ethereal psychedelic qualities that ring strong and true. 33	Trees	"On the Shore"
This band has the classic folk rock sound, but takes it soaring off into the stratosphenre on this second album. The first one is also great and they still retain a strong cult following. 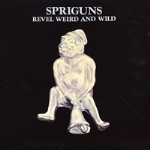 32	Spriguns of Tolgus	"Revel, Weird & Wild"
The straight contemplative and lovely vocals of Mandy Morton is the constant of the Spriguns sound. This album captures their magic most consistently. 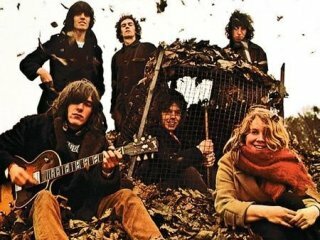 31	Fairport Convention	"Liege & Lief"
If this were the folk-rock list, it would be at the top as it practically defined that genre. There is just enough of a psyche touch on the last two songs to warrant its inclusion here. 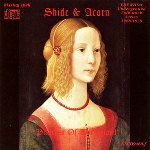 30	Shide & Acorn	"Princess of the Island"
This is delicate female voiced folk that has a mystical vibe to it that places it among its more famed counterparts. 29 Meic Stevens "Ghost Town"
It may be a bit of a cheat to put this reissue on the list, but the songs are from the 1968-69 era and were often rerecorded on other albums in his native Welsh language. 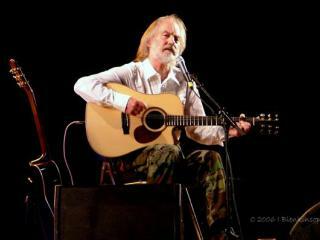 This is trippy folk and if you want his best official album from that day, try ‘Outlander’. 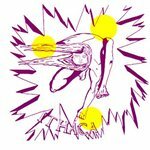 This Scottish collective released one album at their final live show (until a reunion three decades later). 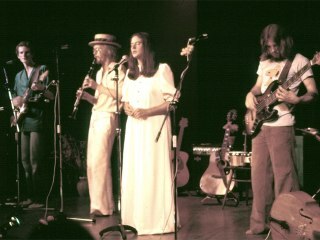 They were a Christian folk band with electric guitar, cello, and creative arrangements that still resonate and mystify today. This is one of two great albums by the Netherlands finest folk band (and there were others that could have made this list). Great pace here. 26	Mike Raven & Joan Mills	"Hymn to Che Ghevera"
Mike Raven is an excellent acoustic guitarist who released several records, but his collaborations with vocalist Joan Mills travel off into profound musical landscapes. 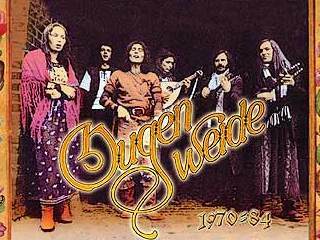 This band nailed psychedelic folk sound as they also employed the progressive ‘krautrock’ approach that dominated their latter material. 24	Trees Community	"The Christ Tree"
This was a New York Christian commune who made this bizarre album that could have come from another planet, yet the folk roots are clearly here. 23	Carol of Harvest	"Carol of Harvest"
Nearly a straight progressive rocker, this has enough folk roots along with an extraordinary song, “You and Me”. 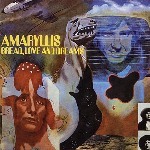 22	Bread, Love & Dreams	"Amaryllis"
This British folk trio had a couple of fine albums under their belt before they borrowed Pentangle’s rhythm section to concoct this masterpiece including the amazing Side One song cycle. 21	Aigues Vives	"Water of Seasons"
This German band combines English, French, and other worldly sounds into their progressive folk mix that continually dazzles me. 20	Dr. Strangely Strange	"Kip of the Serenes"
Not just the poor man’s Incredible String Band, but an odd little collective that can come up with magic like “Strings in the Earth and Air”. 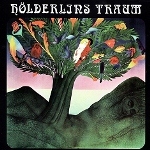 This is profound Germanic progressive folk that twists the psychedelic roots deep into your conscious. Peter Bursch only hinted at this in subsequent releases. This busking folk duo consisted of guitar and violin and subsequently went by the name Mowrey and Watson, Jr. This is the one to start with. 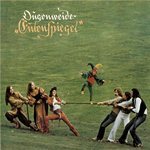 This male/female Germanic duo released a magical folk rocker whose last song hinted at the progressive record that was to come. A model for the great Fit & Limo, who came too late for this list. 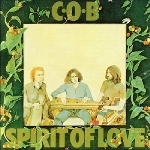 16	COB	"Spirit of Love"
Clive Barker may have helped form the Incredible String Band, but he was barely a part of it before venturing off into stoned out twisted folk music that was to be COB. The second album is equally brilliant. 15	Mellow Candle	"Swaddling Songs"
A holy grail of a collectible, this Irish band’s only record is keyboard led with two female voices, a hard progressive rhythm section and incredible songwriting twists. 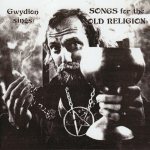 14	Gwydion	"Songs for the Old Religion"
Some think this too twee and would not dream of listing it, but to me it is the example of the American renaissance of old world pagan folk music. 13	Stone Angel	"Stone Angel"
Distant and lovely, these forlorn songs are the wisps of smoke you can never quite grab onto. 12	Mark Fry	"Dreaming with Alice"
Like Vashti Bunyan, his one-shot LP eventually became a highly sought after psychedelic hippie artifact, which brought him out of retirement. 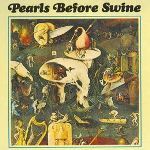 11	Pearls by Swine	"One Nation Underground"
Tom Rapp had a classic folk writing style, but twisted it into heavy psychedelic ambience on the always intriguing ESP label. His latter work also has many wonderful songs. 10	Bob Theil	"So Far"
Theil came along in the 80s and had a tradition to work with, yet came up with some absolutely heart wrenching melodies that he sang beautifully—all with a sense of space. 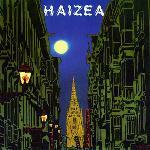 This Spanish band made only two records and this second one is a true mind blower. Wildly psychedelic in scope, it keeps a steady folky pace as it shifts from chants to chilling vocals amidst myserious music. 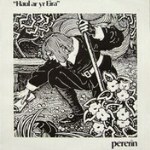 8	Pererin	"Haul ar yr Eira"
This Welsh band was able to inject some pace into their lovely songs and achieved some nice rock music that was very folky and still allowed you to drift off into unchartered territory. 7	Book of AM	"Book of AM"
This incredible concept album fell off the radar quickly, but is well known in the psyche-folk world. 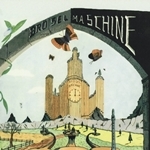 Daevid Allen of Gong recorded it with some communal musicians living on an island off the coast of Spain. Deeply moving. Stone Angel’s previous incarnation may not have ever been heard from, if these tapes were not discovered in an attic some two decades on. Thankfully, the Stone Angel magic is even more prescient and wonderful here. This is the most tripped out and spiritual album, master guitarist Robbie Basho ever put out. And his sidelong piano and vocal excursion with his foot pressed on the damper pedal while he pounds away is stunning. Due to stupid record label and legal delays, most people did not get to hear this when it was at its most revolutionary point, as it practically invented psychedelic folk music. 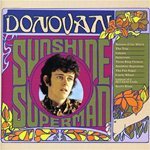 Donovan does not get his fair shake in most musical quarters, but is a pioneer in this music. 3	Pentangle	"Basket of Light"
While not psychedelic on its face, the depth and clarity Pentangle achieves on their third album in astonishing. The band was never more together and they could do breezy hippie chic songs like “Light Flight” and original classics like “Hunting Song” and make it flow to where you never want it to end. 2	Incredible String Band	"The Hangman's Beautiful Daughter"
If Donovan did not create the first of the clear and profound psychedelic folk albums, it was probably Mike Heron and Robin Williamson on their second LP. 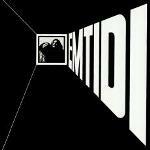 This is their third where it all came together perfectly with wildly unique sounds and song structure where some little known alchemical principle holds it all together. How on earth did six people from England come up with this concept? 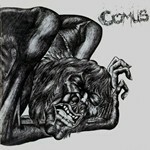 If ever there was evidence that druids carried on, it is here in this scary and beautiful album. Virgin sacrifice never sounded so logical. It is amazing how many metal fans they have, as the only electric sounds here are on bass guitar. But with dark lyrics and wildly dramatic music that has you falling out of your chair, it is less of a wonder. No one has ever sounded like this before or since. Photo Credits: (1)-(23) CD Cover, (24) Malicorne, (25) Roy Harper, (26) Ougenweide, (27) Steeleye Span, (28) Fairport Convention, (29) Meic Stevens, (30) Caedmon, (31) Chimera, (32) Pentangle, (33) Comus, (unknown/from websites).